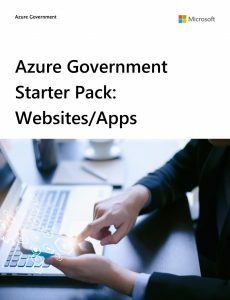 Today, we’re announcing a set of Microsoft Azure and Azure Government Starter Packs for GSA IT Schedule 70 to jumpstart your cloud efforts. Designed to get you up and running quickly with common cloud workloads, starter packs can especially be useful at the end of the fiscal year as you plan your work ahead. Each starter pack includes essential services, support, and personalized technical guidance. The following scenarios are available today. Flexibility: purchase a single SKU for a common workload such as datacenter migration and gain the flexibility to define your architecture as you go, choosing the services you need within the SKU without contract modification. Streamlined procurement: includes all the parts required for a specific workload, so you can purchase a single SKU and be up and running quickly with the services you need. Built-in implementation guidance: personalized guidance from Microsoft technical architects and Microsoft FastTrack for Azure engineers who support hundreds of cloud customers. 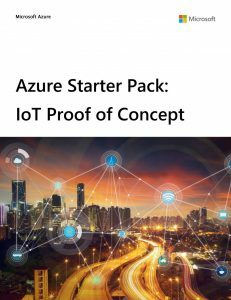 Learn more about Azure Starter Packs by clicking on them below. To purchase starter packs, please reach out to a Microsoft Licensing Solution Provider (LSP) or your Microsoft account representative. You can also contact Microsoft Azure Starter Packs. Transform legacy apps into cloud solutions with the support of subject matter experts. Leverage Microsoft Azure as a primary or secondary datacenter for expansion and growth. 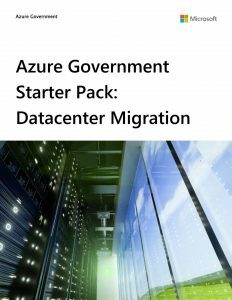 Migrate existing managed services from a co-location datacenter facility to Microsoft Azure. Rest assured during an outage or disaster scenario with a solution that protects the widest range of enterprise applications of any cloud disaster recovery provider. Provides government customers with a packaged dev-test environment in your choice of three sizes: small, medium, or large. Development and testing in Azure helps customers deliver more features faster—with a comprehensive set of development and testing tools for teams to collaborate and deploy at cloud speed. Organizations can quickly create consistent development and test environments with a scalable, on-demand infrastructure using the Dev-Test Starter Pack. Designed to provide a high availability or disaster recovery (HA/DR) option for critical databases. 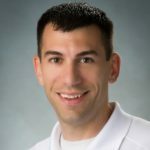 As a first step in preparing to move data to the cloud, building HA/DR solutions in Azure can help customers meet agency protocols while serving end-user needs using the enterprise-grade capabilities of SQL Server. 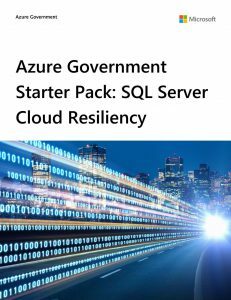 The starter pack includes the key services you need for a HA/DR scenario, such as a SQL Server and domain controller VMs, storage, VNETs/networks, and VPN, along with implementation guidance for your project. Designed to help government customers get up and running more quickly in the areas of bots and artificial intelligence to automate customer service. 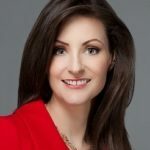 Bots are increasingly important because customer service typically involves employees responding to commonly asked questions, which many times can be provided from FAQ documentation, database lookups, or other commonly available data points. These answers can be automated using bots to decrease human intervention, saving time and money. In addition, cross-language communication with customers or non-English speakers can be enabled through Translation Service.